It can be hard when starting a business to figure out, well, where to get started. 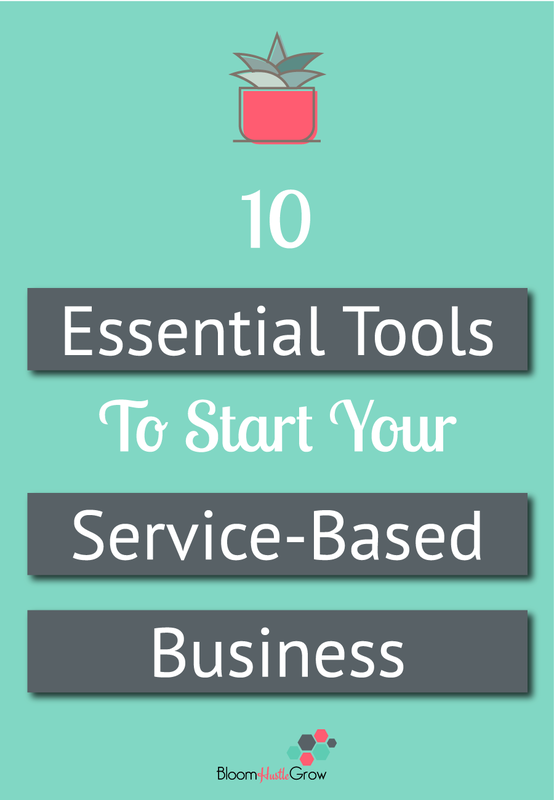 So let me help you with the absolute essential tools you need to get your service-based business up and running. I’m a firm believer in keeping expenses low in the start of your business, but there is also a line when you are hindering yourself and your productivity by not investing in tools to make your business run smoother. Read this post if you are on the fence about investing in a tool. Many of the below tools are free or low cost, and some you can get started with for free. DON’T OVERTHINK THIS!! I find lots of budding entrepreneurs get hung up on choosing the “right” tool, just pick one and move forward. There is no such thing as the “perfect” tool, all have limitations, you just have to find what works for you at this time. Most service-based businesses require appointments and meetings. Don’t make this process harder than it needs to be. Get a scheduling tool, and move on with life. Read why you need one in this post if you don’t believe me. I use Acuity and it ROCKS!! Plus it doubles as part of #3 (a win-win!). Read more about all that Acuity can do in this post. It CAN’T all live in your head. If you are serious about growing a business, you need to have a system to organize all the moving parts. Even if you are working solo as you bring on more clients, or take on more projects you will need a system to keep it all organized. 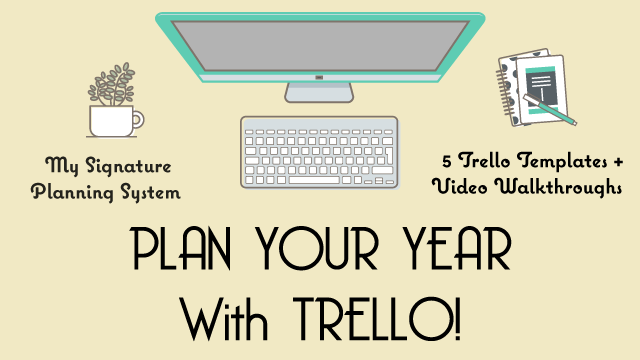 Of course, my system of choice is Trello. You can read more about that here. But there are lots of options to get it organized. Another popular choice is Asana (you can read this post on Asana vs. Trello). If you are starting a business people need to be able to pay you (like TODAY), do not wait until you find clients. 1. You need a payment processor. This is a service that allows you to take credit cards. Of course, you could do direct transfers to bypass this, but most businesses need some flexibility on types and ways to collect payment. I use both Paypal and Stripe. 2. You may be able to issue an invoice or set-up a direct pay through your payment processor. Whether this is a good option depends on what you need and your on-boarding process. I use Acuity to be the payment portal, and that connects to PayPal or Stripe. Other options are to use your bookkeeping software or another CRM system that has that option like Dubsado. I use Acuity to track/pay/schedule/onboard. 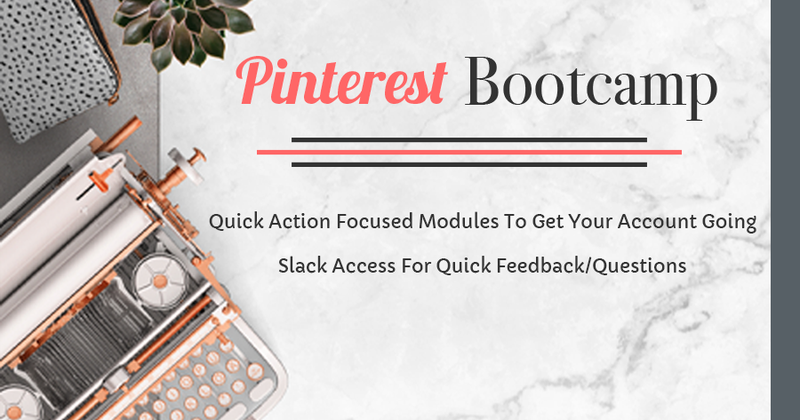 Now if you aren’t going to maintain ANY social media channels (yes you don’t need this) but if you are serious about growing and consistently posting the easiest way to do this is to use a social media scheduler. I 100% could not have grown my Pinterest account without Tailwind. While some channels allow for native scheduling (like Facebook and now Pinterest), most are relatively limited in terms of how far in advance you can schedule. There are some arguments that schedulers reduce reach on some channels but the inconvenience of not being able to set-it and forget-it outweighs any potential marginal lost of reach for me. I’m breaking my rule on this one because it really depends on what social media channels you are focusing on and if you are maintaining or really trying to grow that channel. So I’m going to share what I use and then link to another post that have some more options. You can find some more options for schedulers here. You do need a way to keep all your documents in pretty much one place and for them to be shareable. You may not need to share documents with anyone yet, but the time will come if you are storing all the things just within your computer you will be hindered. Trust me emailing documents back and forth is not the way to go. Much like how all your to-dos are going to have a hard time fitting all in your head, so too is your massive password list. SO many passwords related to my business activities. Password management systems allow you to set secure passwords better and to manage your passwords. It again also sets you up to bring on team easily, because you can securely share passwords they might need. Lastpass is what I use. Get this set-up. Start tracking your expenses and income from day one. Don’t let this be at the bottom of the list and be a hot mess express getting it all together at the end of the year, before the tax season. Read more about resources to keep your finances in order in this blog post. If you are already working with an accountant or bookkeeper check with them on what software you should use. We live in a visual world, so you need to make sure you can create what you need to promote your offers. If you can afford to have someone else create all graphics, then you MAY not require tools for this, but at the same time, you may want to be able to whip something up on the fly. The other thing to consider if you give it over to someone else is what happens if you need to change designers. Do people run their businesses without websites sure? But should they? Listen, your website is your virtual home; it’s the space online where all your marketing efforts should drive people to. It gives you credibility. With WordPress you will need a hosting service, mine is SiteGround (I’m pleased with them). 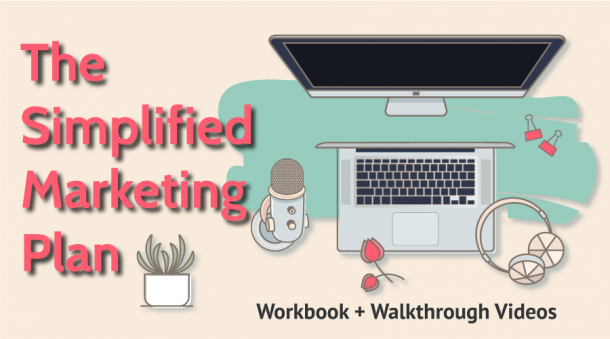 You can see all my tools plus what I used to build this site in the Solopreneur Toolkit. So this one seems fairly obvious, but I 100% could not run my business without my inbox. I personally use Gmail (not G Suite). You do want to set-up a domain email i.e. like hello@bloomhustlegrow.com, not just a gmail.com address. Is this list the end all be all list you will ever need for your business, nope. But this list will help you get started. I did keep the tool options short because you just need to pick one and get started, and these tend to be most popular choices. 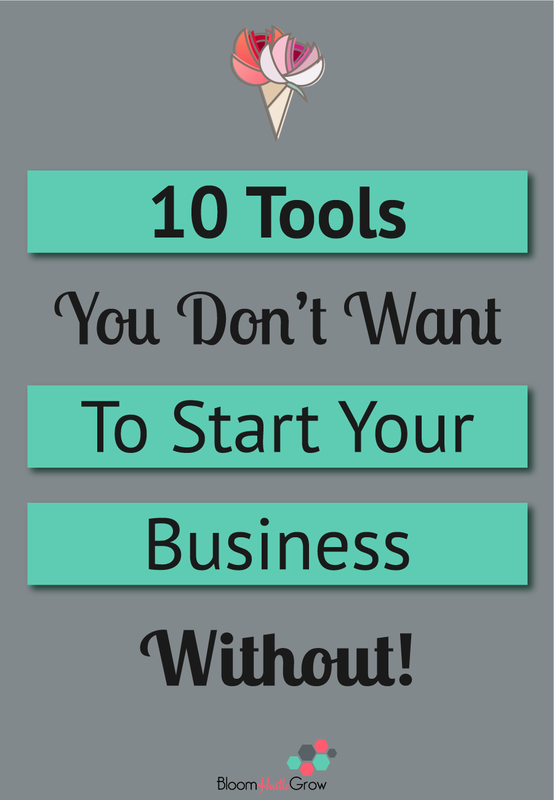 The advantage of picking a tool that’s popular is that there are lots of resources on how to use that tool out there. You can easily google “alternatives to [the tool I recommend]” to get a nice big list of most of the other options out there if you need to know all the things. 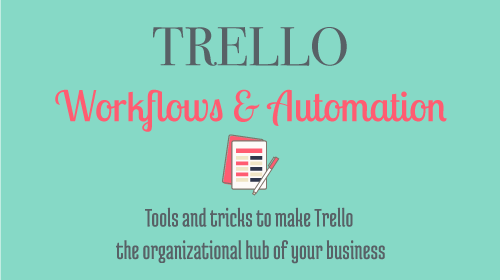 Want to kick start your systems and not waste a ton of time figuring it all out on your own? 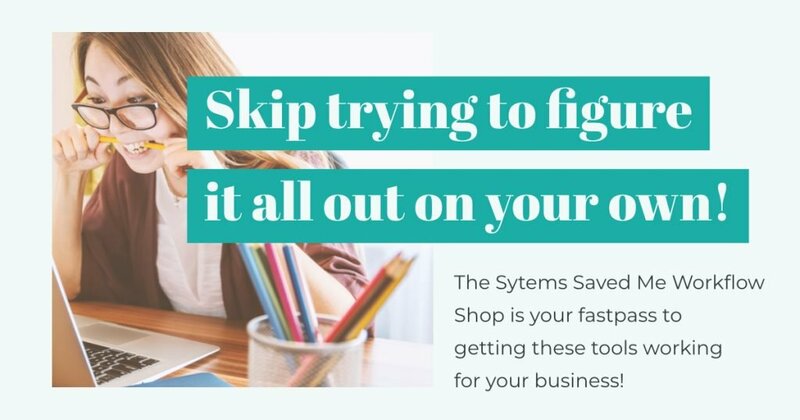 Head over to the Systems Saved Me Workflow Shop where you can find 101 tutorials to help you learn the ins and outs of your next tool OR find the tools and workflows you need for your type of business!